Pamplin Media Group - Is philanthropy's 'best kept secret' in Wilsonville? Is philanthropy's 'best kept secret' in Wilsonville? Wilsonville's Shrine Center raises money for hospitals while members deck themselves out in memorable outfits. With its rituals, code of ethics and required discipline and commitment, Patrick Sheehan compares Freemasonry to a church. 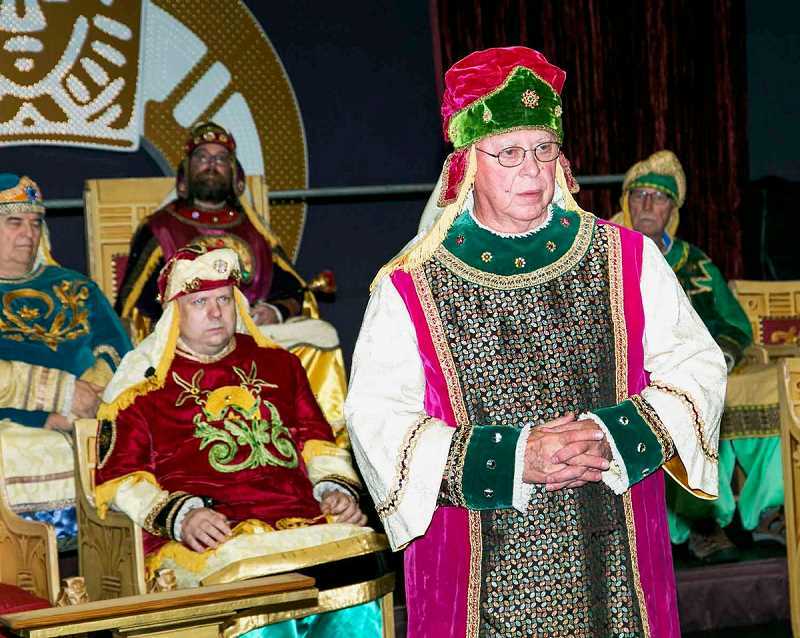 On the opposite end of the spectrum, he says Al Kader Shriners — an affiliated organization filled with Freemasons — is like the donuts afterward. "Freemasonry is about building a man, making him better, and the Shrine is about fun," Wilsonville Shrine Center Vice President Carl Thompson says. The Al Kader Shriners Center, located at 25100 S.W. Parkway Ave. in Wilsonville, is one of two official centers for the Shriners International organization in Oregon. 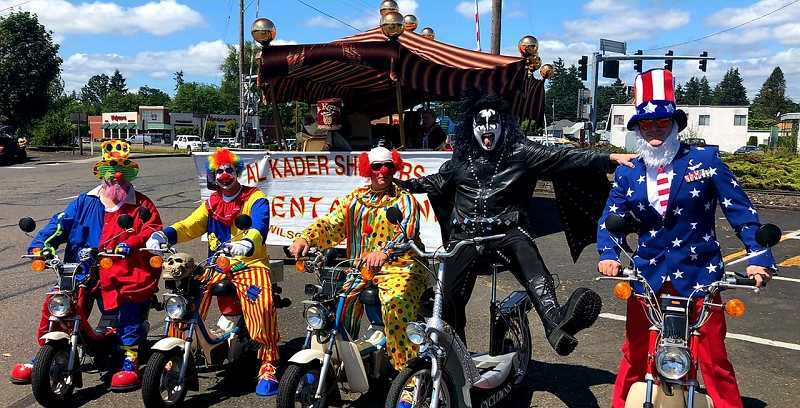 Members of the Shrine perform goofy rituals, wear ostentatious outfits, attend parades and other community events and, most significantly, raise money for Shriners Hospital for Children — which provides medical care to children regardless of their ability to pay. After the Shrine was founded in the late 19th century, tens of thousands of Shrine members flocked to Portland for a convention and voted to start the hospital for children. The first hospital opened in Louisiana and there are currently 22 worldwide, including one in Tijuana and another in Mexico City. Once focused on polio treatment, hospitals now provide medical care related to orthopaedics, burn treatment, spinal cord injury, cleft lip and cleft palate. There are over 200 Shrine temples worldwide. "We call ourselves the best kept secret philanthropy in the world," Thompson says. The Portland-area Shrine Center used to occupy the current property where the Portland Art Museum resides but then the Shriners sold the building about 25 years ago and moved to the current spot in Wilsonville. One unique component of the Shrine is its Middle Eastern themes and garbs. William Florence, one of the founders of the Shrine, drew inspiration while attending a party of an Arabian diplomat, which included an "elaborately staged musical production at conclusion of which, the guests became members of a secret society," according to the Shrine handbook. Florence later returned to the United States and launched a "Mystic Shrine" in North America. Their signature garb became the fez, named after the city Fez in Morocco. The founders of the Shrine circulated the fezs, which are etched with the Shrine's namesake, to attract attention to the organization and the idea seemed to work. United States presidents Franklin Roosevelt, Harry Truman and Ronald Reagan were all members of the Shrine. Freemasonry membership, which is a requirement of joining the Shrine, is often passed down by generation. Thompson, for one, always looked up to his grandfather, who was a Freemason. After another Freemason visiting Thompson's office left him a fez, Thompson decided to follow in his grandpa's footsteps. "He (his grandfather) was the best man I ever met in my life. If I'm half of what he is all be doing alright," Thompson says. "It's a way to honor him and be a part of what he was a part of." Thompson also says those who served in the military or were in a college fraternity are often attracted to Freemasonry because they miss fraternal connection. "The glory age of Freemasonry was after World War 1 and World War 2 and men were coming back and they wanted to be with other men and feel the camaraderie that was missing in their day-to-day life. We had men joining by the millions in the United States," Thompson says. Thompson, who is in his mid-40s, is one of the younger members of the Shrine and says young people aren't as interested in fraternal organizations as they once were and that the functionality of the hospitals depends on membership. "People don't think we exist anymore," Thompson says. "It's just a dying old man's fraternity." While being accepted into Freemasonry is typically a much more elaborate process, Freemason members in good standing only need to go through a single ceremony, where members walk across hot sand (which represents a desert), to be inducted into the Shrine. At the conclusion of the ceremony, a loved one places the fez on top of the head of a new member — thus cementing initiation. "It's goofy," Sheehan says. "You don't learn anything from it. It's not meant to change the way you behave." And the goofiness doesn't end after the initial ceremony. Many of the Shrine members join units that meet together and perform various activities depending on their interests. For instance, Thompson and Sheehan are a part of the Psych-Clowns, which attends parades and other events wearing clown costumes. Sheehan, though, wears a costume resembling Kiss star Gene Simmons. "I'm a 44-year-old man and I get to dress up like Gene Simmons and zip around in a parade and take photos with middle-aged women and their kids with their tongue sticking out to promote this fraternity," Sheehan says. "It's an excuse for guys to get together and have fun together." 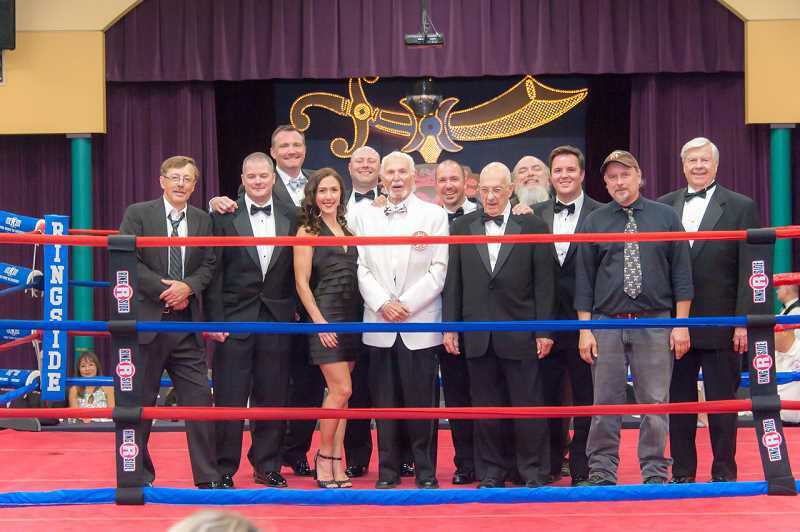 The Shrine also hosts grandiose fundraisers, such as its wrestling night, which included catering and nine rounds of boxing at the Wild Cat Boxing Club in Keizer. "The fundraisers are like big parties," Sheehan says. The histrionics are put on with the goal of raising money for the Shriners hospitals. And Sheehan and Thompson say attendees of parades and other events regularly thank them for their contributions. "People will come up and thank you for their daughter's surgery," Sheehan says. "We go out to restaurants wearing them (fez's). People all the time will come up to us and say thank you for this with tears in their eyes." For more information about the Shrine, visit www.alkadershriners.org.